The benefits of pets can’t be denied. Our four-legged friends can bring real joy to our lives and boost our well being, at any age. 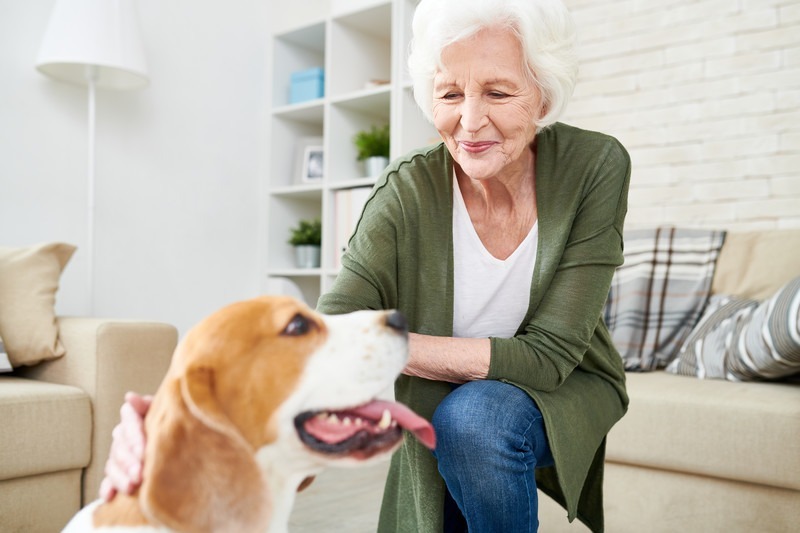 There are many advantages of having a pet, including physical, mental, emotional, and social benefits. Pets provide the unconditional love that we all crave. They can be a wonderful addition to a variety of households, including singles, couples, families with children, and seniors. This month we celebrate National Dog Day – let’s enjoy our pets and celebrate all the joy they bring to our lives! Children and pets just seem to go together! From toddlers to teens, kids from close bonds with their household pets. Pets provide kids with physical and emotional comfort, support, and companionship. Pets provide an outlet for activity and improved fitness, through training and daily walks. Pets provide a shared interest between kids and help them to connect with other children. 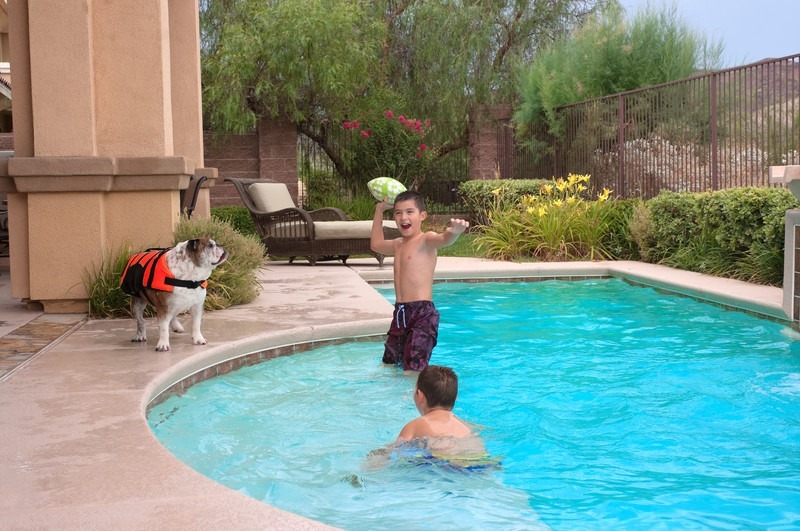 Pets provide activities for the family to do together and help to build family bonds. Pets give kids the opportunity to practice and develop important nurturing and caring skills. Pets can be very trainable and many children enjoy working with their pets to learn new skills. Pets can offer opportunities for children to socialize with other pets and adults in their neighborhood. Pet exposure reduces the risk of allergies or asthma in children. Pets can be an icebreaker and can help us to meet and interact with others. Pets can reduce stress and improve health outcomes at home and in institutional settings. Pets can provide physical and emotional comfort, support, and companionship. Pets provide interest, structure, and a sense of purpose. Pets add a feeling of familiarity, safety, and hominess to an institutional setting. Pets help us to stay active and fit through daily activity, such as walks. Pets get us outside and help us to build bonds with others. Pets provide us with the opportunity to continue nurturing and caring for others. Play with adoptable pets at your local pet shelter and give them some love. Engage with neighbors’ dogs when they are out-and-about in the neighborhood. Visit adoptable pups at adopt-a-dog events at your local pet supply store. Hang out with furry co-workers at your own pet-friendly workplace. Pet Factory supports Sav-A-Pet and other charitable organizations. On National Dog Day, we celebrate all the sweet pups in our lives. The benefits of pets are undeniable – we may be biased, but we are crazy for our dogs! Life is just better with dogs. Dogs have always been part of our family. They greet us at the door with those happy grins and wagging tails. If we’ve had a tough day, the bad feelings melt away with the first lick from a pup. Our furry friends help us to feel safe, understood, wanted, and yes, loved. FUN FACT: Do you know how National Dog Day started? National Dog Day originated in 2004. In that year, animal advocate Colleen Paige founded National Dog Day to shine a light on the plight of unwanted dogs and to promote the benefits of dog adoption. 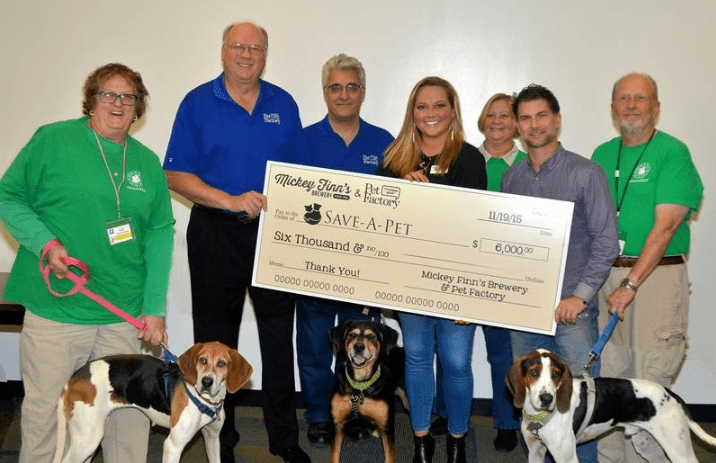 Learn how Pet Factory supports Sav-A-Pet and a variety of other community and charitable organizations – read our recent blog article. On National Dog Day and every day, treat your furry friend to natural Pet Factory beefhide chews. 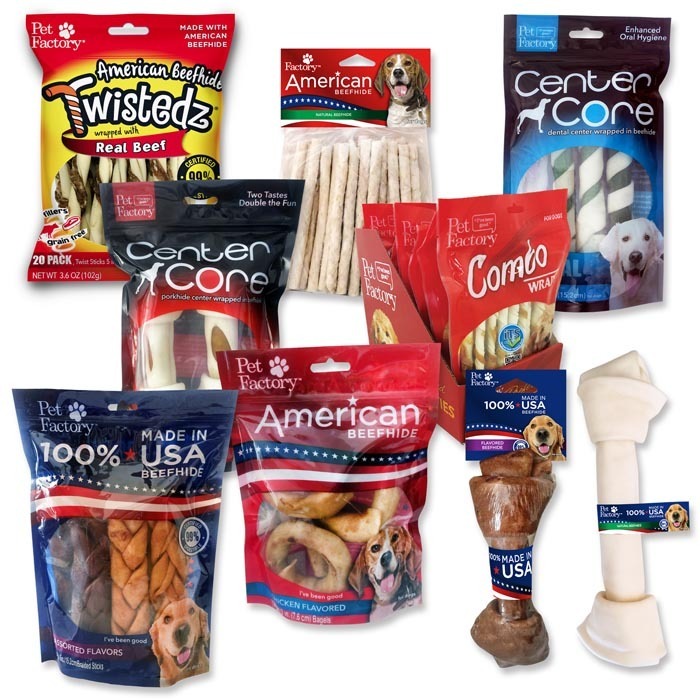 Pet Factory is America’s premier manufacturer of USA-sourced beefhide bones and chews. Our chews are made exclusively from Premium Beefhide from American-raised cattle. Our thick beefhide chews provide a delicious and safe chewing outlet for your pup – and they’re 99.2% digestible. Beefhide is the Original Natural product, with NO hormones, added dyes, added salt, added sugar, preservatives, fillers, GMO’s, glues, or additives. There is NO corn, wheat, gluten, grain, or soy in beefhide. Natural beefhide chews are high in protein and low in fat, with fewer calories per ounce than most dog biscuits. Look for Pet Factory chews in a variety fun shapes and sizes, including knotted bones, rolls, chips, and novelties in original or chicken flavor. You can find our products at your local pet supply store and at national pet product retailers.